We are thrilled to announce that a new white version of the Gold Wireless Headset will be joining the lineup this October in North America, just in time for the holidays. 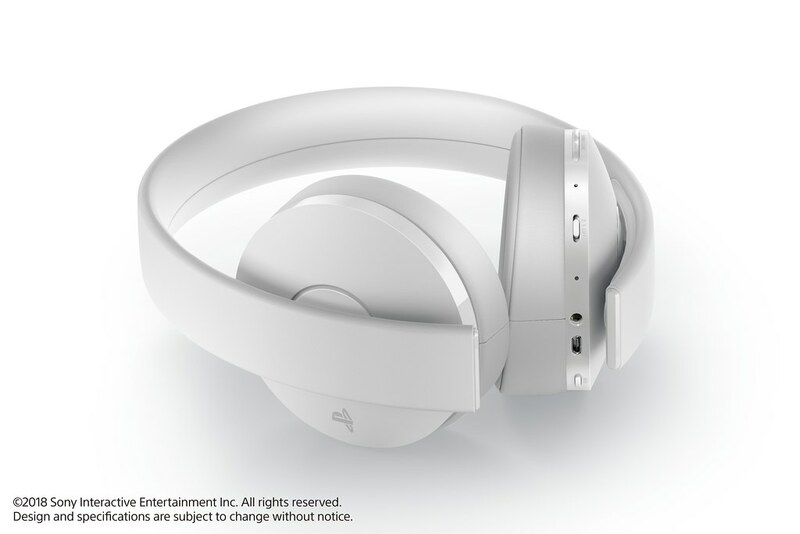 With the same enhanced comfort and performance of the new Gold Wireless Headset, gamers can stand out a bit more with this new crisp white color. As always, it’s the connection to games that makes our headsets great, and we are happy to announce more titles with audio mode* support through the headset companion app** for both Gold and Platinum headsets. These audio modes, tuned by the developers themselves, let you experience the game as the developers intended. Dive into densely populated jungles, markets, and bustling city hubs, with Shadow of the Tomb Raider, or relive the iconic sounds of the dragon realms with Spyro Reignited Trilogy. 3D Audio***, our enhanced deep immersion audio function for the Platinum Wireless Headset, gets new supported titles as well. We look forward to an incredible new RPG experience from EA’s Anthem, and the brutal test of survival in Days Gone. Are you excited for the new white version of Gold Headset? Let us know in the comments. *Audio mode is available only with PS4 system. **Sony Entertainment Network account and Internet service required. 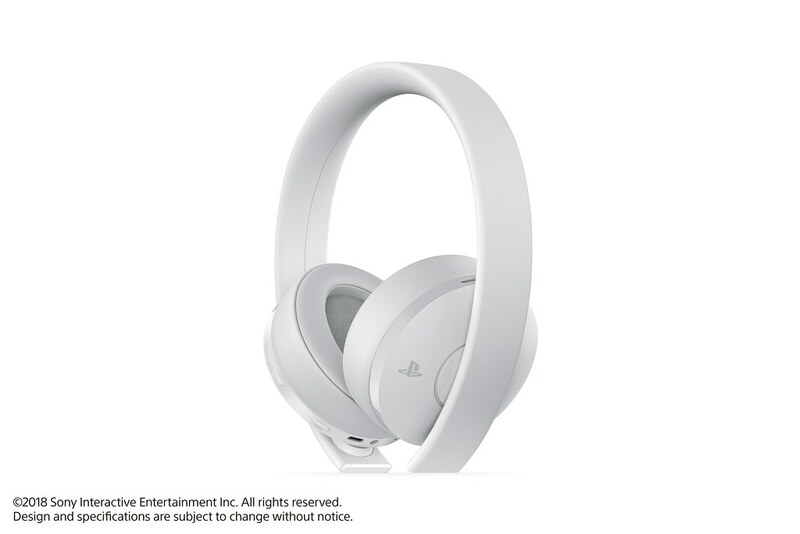 ***3D audio is available only with Platinum Wireless Headset on PS4 with select titles. The headset companion app has very little suppprt. We didn’t even get a Spider-Man audio profile. Please support the companion app, and port all the audio profiles from the previous gold headset over to the new one. A Marvel Spider-Man audio profile would be very appreciated. Amen to the companion app needing more support. I honestly was surprised to see Shadow of the Tomb Raider got an audio mode. It’s weird that Spider Man didn’t get one. I think that just like with the Vita, some devs just don’t see it as that important unless Sony really asks them to work on it, I love the PS headsets I’ve owned but I can’t deny that the 3D audio and the companion app are all kind of gimmicks. The 3D audio is practically non existent when you compare it to 3D audio in VR games. Oh, nice! It’ll match my white PS4 Pro perfectly. A side note, I would LOVE to see a return of the Pulse Headset. To this day I’ve yet to find a better headset. I actually still use it, but the battery is dead after so many years, I have to keep it plugged in. Totally agree!!! Pulse Headset is the best one (IMO). Please support the Pulse on the headset companion app also!!! Irs not going to be availabe to pre order? This redesign of the gold headset has been a nice change in design. Thank you for finally figuring out that flimsy plastic hinges and garbage plastic struts on the ear cups needed to go. I really should just mail Sony the 5 broken headsets I own to help drive that point home. Now we just need a better platinum headset. Are great but imo earcups are shallower than old golds. And BIG cons – you cannot remove earcups like before. So if they wear out, it’s over. It’s a petty the plastic will break and the “leather” will peel itself with time. The curvature is too agressive. It’s a pity the plastic will break and the “leather” will peel itself with time. The curvature is too agressive. How about making white consoles available again. Would really like white PS4 pro model that’s not used. How about we get some Spider-Man PS4 love for the Wireless Headset App??? I mean damn near all the big time PS4 exclusive games have custom audio settings in the App..
Spider-Man PS4 hasn’t gotten one yet but Shadow of Tomb Raider already has one… GTFO with that crap… If you’re going to keep releasing new headphones iterations then PLEASE CONTINUE to support the associated application with custom audio settings for today’s latest and greatest PlayStation games! Go figure. I just updated my tattered old OG White headset with a new pair of Golds a couple months back. On a more serious note. Please Sony get more developers to take advantage of the Gold headset by releasing sound apps for them. I mean they’re great in their own right but nothing compares to the games who have custom sound. I still prefer my surround but on weekends when chatting w/ friends… Just a shame more games aren’t listed in the app. Hey, I have a question! Can connect this well looking headphones to a phone (Android) with a Bluetooth? Thanks.